Concerns are high for Latin America not only because the law firm whose files were leaked was based in Panama, but because these files exposed the offshore tax-exempt accounts of a number of Latin American leaders and politicians from all throughout the region. On April 3, 2016, Suddeutsche Zeitung, Germany's largest daily newspaper leaked 11.5 million files from the database of Mossack Fonseca law firm whose headquarters is in Panama City, Panama. The files exposed financial dealings of some of the world's richest and most powerful individuals including a number of leaders in Latin America. The sources were shared with the International Consortium of Investigative Journalists (ICIJ) and a network of international partners including the BBC and the Guardian. The millions of documents were shared after a yearlong investigation conducted by the German newspaper on the Mossack Fonseca law firm. The documents included financial records, legal documents such as passports, and correspondences dating back over 40 years. These files reveal offshore accounts of current and former world leaders as well as individuals with close ties to political figures and business moguls around the globe. Some of the well-known and shocking names included in the files were the president of Russia, Vladimir Putin, Britain's Prime Minister, David Cameron, and the president of Argentina, Mauricio Macri. The files also reveal that it is not only politicians who are found to be tied to the alleged laundering of funds but professional football star, Lionel Messi and the former head of European football's governing body UEFA, Michael Platini as well. Along with those who are allegedly involved with this corruption scandal are Latin American leaders from Argentina, Brazil, Ecuador, Mexico, Panama, Peru, and Venezuela. Concerns are high for Latin America not only because the law firm whose files were leaked was based in Panama, but because these files exposed the offshore tax-exempt accounts of a number of Latin American leaders and politicians from all throughout the region. In Argentina, the recently elected, Mauricio Macri, was associated with the offshore company, Fleg Trading Ltd, which was incorporated in the Bahamas in 1998 and dissolved in January 2009. Macri, however, claims he did not recognize any financial asset ties with the company that would have taken place during his time as mayor of Buenos Aries. Following the release of the Panama Papers, Macri's official spokesman, Ivan Pavlovsky stated that the Argentine president did not include Fleg Trading Ltd as an asset because he had no investment participation in the company and declared that Macri was not a shareholder. Along with Macri, former Buenos Aires Finance Minister, Nestor Grindetti was linked to the Panama Papers scheme, but he refused to make any comments on such accusations. The leaked documents also allege that Mossack Fonseca's U.S. lawyers at its Las Vegas office helped to cover up an Argentine business scandal. The documents also included, Juan Armando Hinojosa, known as the "favorite contractor" of Mexican President Enrique Pe-a Nieto. The ICIJ reports that within the summer and fall of 2015, the law firm Mossack Fonseca aided Hinojosa in creating three trusts that seemingly took over accounts valued to $100 million USD. Hinojosa was mentioned as the primary benefactor, following members from his immediate family. It is stated that his network is rather multifaceted as it holds units in three different jurisdictions including New Zealand, the United Kingdom, and the Netherlands. Following the event, Hinojosa has not provided any commentary. Other documents suggest that the affair will reach into Mexico's state-owned Pemex oil company. The document also names the former Governor of Ecuador's Central Bank, Pedro Delgado, due to involvement in money laundering. Delgado is the cousin of the current president, Rafael Correa, and is a fugitive in the United States who is facing an extradition request from Ecuadorian authorities for forging a university degree. As others accused, Delgado has not provided any comments on his involvement in the Panama Papers. The former head of the Panama state-owned bank, Caja de Ahorro, and ex-vice-president of Tocumen International Airport's authority, Ricardo Francolini, has also been linked to the incident. The ICIJ reports that Francolini is accused of accepting a $500,000 USD bribe system as part of a failed irrigation project during former President Ricardo Martinelli's administration. Martinelli has a history of corruption and embezzlement accusations. The Council on Hemispheric Affairs previous article regarding corruption in Panama contends that President Varela had "vowed to tackle issues of corruption from the previous administration, and plans to do so by improving government transparency." The recent leaking of the Panama Papers adds to the woes of the Central American country, which for years has been struggling with a plethora of corruption scandals including the Lucom affair. Despite these accusations, the law firm declares that there was no involvement in illegal actions that might pertain to Mossack Fonseca. One of the firm's founders, Ramon Fonseca Mora, stated that those cited in the release of such documents were not direct clients of the law firm. Furthermore, he explained that Mossack Fonseca works with banks and lawyers that, subsequently, work as intermediaries to those involved in the scandal. "We form the corporation and our clients' resale it; and nothing more," Fonseca Mora said. CNN released an article explaining that "the documents do not necessarily indicate illegal activity. But shell companies and offshore accounts can be used to mask the origin of financial transactions and ownership." Ironically, Fonseca Mora, one of the firm's founders additionally served as the President of the Panamanian Party leader, and as chief minister of Panama's President Varela. Now that the door is open, new revelations are bound to come forward to expose the depth of the Panamanian corruption scandal. The release of the Panama Papers is merely chapter one of a much more serious and larger case. There are assumptions that a number of Americans are bound to be involved and such information may be disclosed as new developments occur. Further spurs or revelations may include the exposure of a number of Americans involved in land speculation, building booms, and canal exploitation. Although there has been no statement from the U.S. State Department, the U.S. Department of Justice is reviewing the Panama Papers. Spokesman Peter Carr, Public Affairs specialist for the U.S. Department of Justice, stated, "the U.S. Department of Justice takes very seriously all credible allegations of high level, foreign corruption that might have a link to the United States or the U.S. financial system." Given the close diplomatic ties between the United States and the Panamanian government, it may be of interest of the U.S. to investigate the firm -- which has offices in the United States -- as a whole. The disclosure of the Panama Papers makes Panama the stage for the largest leak of information containing corruption files in history. Much is still unknown, however, the exposure of the vastness of the network of those involved in the Panama Papers should alert Latin American as a whole. 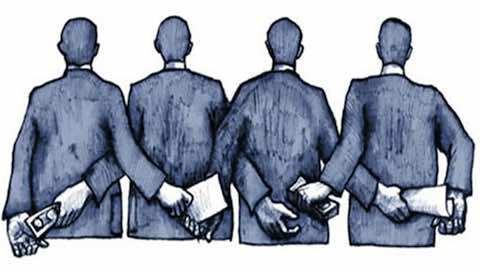 Corruption has not been a small issue in the Western Hemisphere. It is a vicious cycle across the whole region. As new details emerge, Latin America's stability may be affected. “Mossack Ocultó Papeles Para No Informar Sobre Báez En Nevada.” Diario 26. Accessed April 04, 2016. http://www.diario26.com/mossack-oculto-papeles-para-no-informar-sobre-baez-en-nevada-222466.html. “Niega Lozoya Relación Con Mossack Fonseca.” El Universal. Accessed April 04, 2016. http://www.eluniversal.com.mx/articulo/cartera/economia/2016/04/5/niega-lozoya-relacion-con-mossack-fonseca. "Peru's 2016 Presidential Elections," Washington Office on Latin America, April 4, 2016. Jessica Cruz and Melanie Landa, "Country Brief: Panama," Washington Report on the Hemisphere, Volume 36: Issue 2, 8. Latin America: "Latin America Exposed: The Panama Papers"